Founded in 1945, United Nations Educational, Cultural and Scientific Organization (UNESCO) is an enormous organization that pursues a range of activities roughly within the media development rubric, including media and information literacy, journalism education, and youth media. The work discussed here falls under UNESCO’s “Fostering Free Expression” theme, which aims to support “free, independent and pluralistic media in print, broadcast and online.” In UNESCO’s view, according to its website, media development “enhances freedom of expression, and it contributes to peace, sustainability, poverty eradication, and human rights.” UNESCO is a major media development support actor, both in actual funding for a wide range of projects, and, at least as importantly, in developing and promoting norms and standards in the field. Within UNESCO, media development support is carried out by the International Programme for the Development of Communication (IPDC), which is funded almost entirely by UNESCO member states for work in developing countries. IPDC distributes about $1 million annually in small grants, and supervises a variable amount of “Funds-in-Trust” for specific projects suggested and funded by various governments. Since its launch in 1980, IPDC has spent over $100 million on more than 1,500 projects in more than 140 countries. No more than one grant is made in a country each year, although some projects may be regional or global. IPDC’s structure reflects its status as a UNESCO body. The IPDC Intergovernmental Council is composed of 39 member states, and is elected by UNESCO's General Conference, “taking into account the need to ensure equitable geographical distribution and appropriate rotation.” The Bureau of the Intergovernmental Council, a committee composed of a chairperson, three vice-chairpersons, a rapporteur, and three others who represent UNESCO member states, is elected by the council. 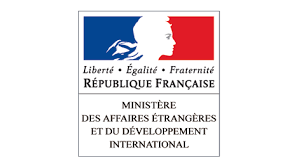 The bureau oversees project selection, approval and allocation of funds, and is supported by a four-member secretariat, led by the director of the UNESCO Division of Freedom of Expression and Media Development. This is currently Guy Berger, a South African former journalist and long-time media rights campaigner who built a highly respected media studies program at Rhodes University. Promotion of projects by independent media or media-related institutions that focus on journalism safety, or law reform fostering media independence, which also seek the active involvement and commitment of the state in the realization of the aims of the project. In an interview, UNESCO’s Berger said that IPDC responds to bottom-up demand from local groups and support, but does not implement projects. The secretariat screens grant applications for technical and budget matters, and approval is by the Bureau of the Intergovernmental Council. In 2015, IPDC announced that it would spend $1,091,447 to support 71 new media development projects worldwide. These are not grand schemes; the maximum grant rarely exceeds $35,000. Projects are submitted by local or regional media groups and vetted by IPDC on several criteria. IPDC is perhaps the most transparent of any media development support group in its grant processes. A listing of all projects submitted and approved in 2015 are found on the IPDC website. A fuller archive of IPDC projects is also available. This transparency is quite admirable by intent, and UNESCO is leading by example in application of its own “Media Development Data Sharing Principles.” This is in some part possible because as an inter-governmental organization beholden to its member states, UNESCO is unlikely to fund media activities that governments might deem unacceptably partisan. Various foundations and individual governments free of such constraints sometimes fund surrogate or exile media, or media activities in hostile environments that might contravene national laws, even if promoting international standards. This is not an option for UNESCO. Yet it can use its own research and convening power to address sensitive issues such as journalist safety, as shown in the priority reaffirmed in 2015 and meetings around the issue. And building the values of free, independent and pluralistic media into the MDIs and project criteria can offer leverage to raise such issues at the state level. IPDC’s projects are evaluated­–some reports can be found here and here–but as in nearly all media development projects, drawing direct causal relationships between specific projects and broader outcomes remains elusive. IPDC receives more proposals than it can fund. The United States’ decision to stop its annual $80 million dues to UNESCO–over a fifth of its then budget–after Palestine was admitted as a member in 2011 is a continuing constraint.